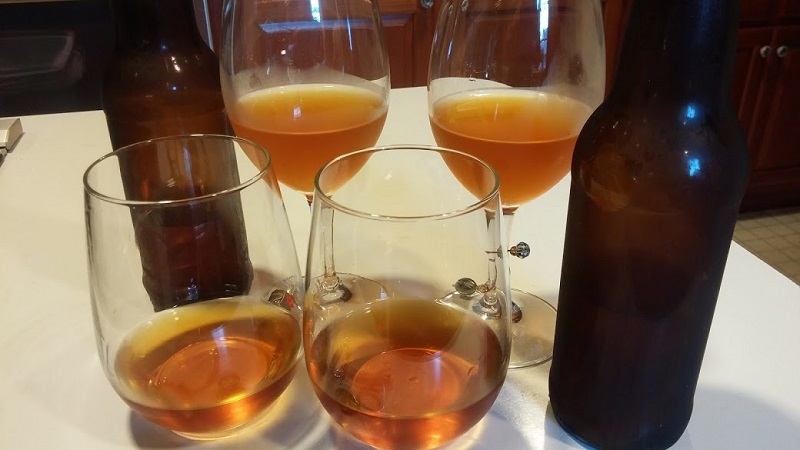 Hard cider could be the next big thing. It’s always been popular in Europe and was a common beverage for American settlers and farmers. Now, craft cider makers are following the footsteps of craft brewers, making small-batch, high-end and stylish ciders from local apples wherever they are grown. The big boys are getting, in too, establishing national brands. 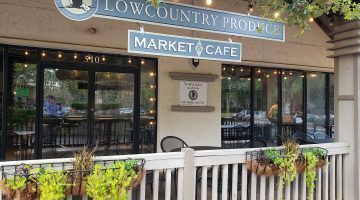 To see what’s going on with ciders, we organized a dinner for a few friends to taste some American ciders. The emphasis was on artisanal efforts, but a couple national brands were included. The ciders are mostly from New York or New England and all but one can be purchased here in Connecticut. I was hoping that the hard cider might be the answer to the vexing question of what to serve at Thanksgiving dinner. It’s challenging to pick a wine or a team of wines that will compliment the food, satisfy all the preferences around the table, and not carry too much alcohol. 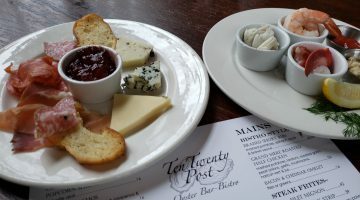 Our tasting results were encouraging! The idea was to taste our way through 7 ciders, driest to sweetest and then sit down to a dinner of braised pork shoulder with apricots, roasted butternut squash, and wild rice followed by an apple crisp for dessert. With dinner we finished off the tasting bottles and opened a couple more. Hard cider is usually made from a mix of apples chosen for the flavors, sugar, and tang they’ll bring to the final product. Cider apples are usually pretty tart and can be quite tannic. Some are called spitters for what you want to do if you take a bite. 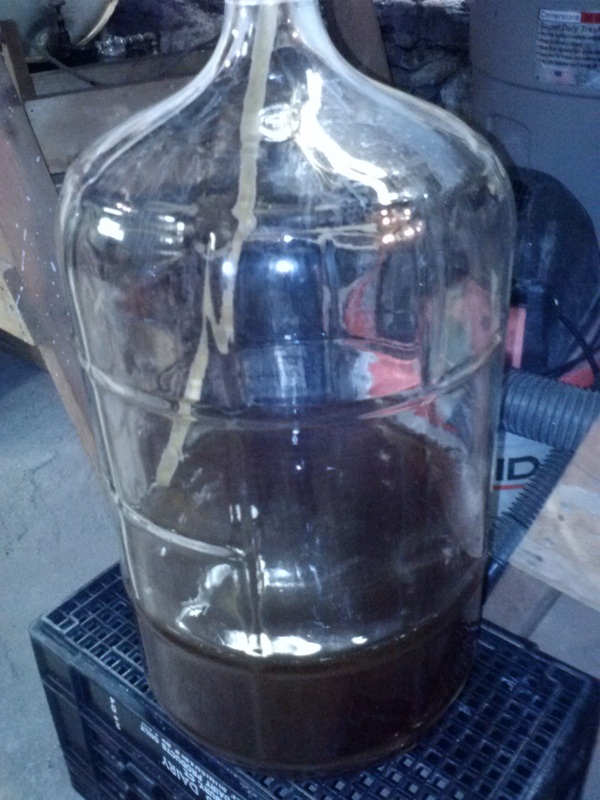 Sugar is needed to ferment into alcohol, but the acidity and tannin from the spitters is what give the finished cider interest, and sophistication. 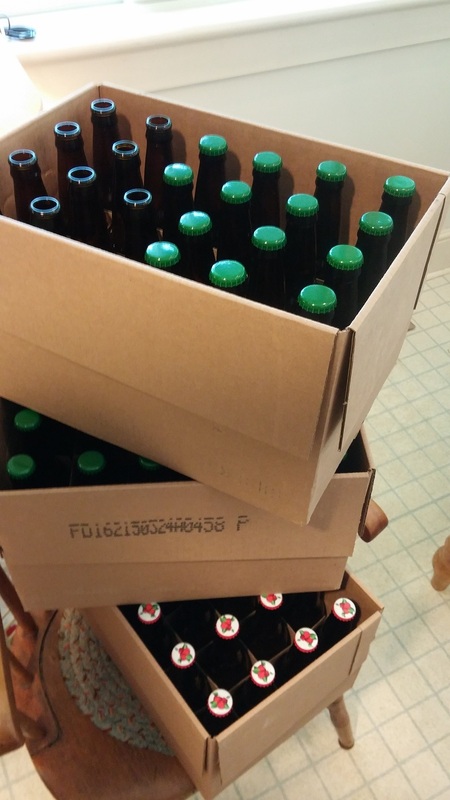 The sweet cider we love from farm stands will ferment, but doesn’t make the best hard cider. Bad Seed Dry from Highland, NY, just across the river from Poughkeepsie. Described on the label as, “extremely dry and incredibly strong,” it boasts 6.9% alcohol – highest of the tasting. $9.49 for 6/12 oz, Total Wine. Nine Pin – The Idared Limited Reserve was the only cider not available in Connecticut. I included it because it’s pressed from Idared apples only, instead of a mix of varieties. Made in Albany, NY, they say it’s, “dry and bright with a crisp tangy finish.” $9.99 for a 22 oz, 6.7% alcohol. Farnum Hill at Poverty Lane Orchards in Lebanon, NH is one of the pioneers of top quality American cider. 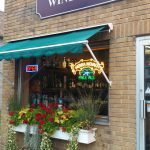 Their Farmhouse cider is “pale gold, bubbly, with a hint of sweetness amid tart, bitter, and fruity elements.” $12.99 for a 750 ml, 6.5% alcohol, La Vie du Vin Wine Shop in East Norwalk. Original Sin Premium Hard Cider, a NYC brand that is made and bottled under contract in Florida, was the favorite of the guy working the cider display at Total Wine. $1.79 for a 12 oz, 6% alcohol. 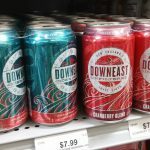 Downeast Unfiltered Original Blend is a Boston brand. It was the only one that warned, “Unfiltered, may have sediment, shake gently before opening.” $1.99 for a 12 oz, 5.1% alcohol. 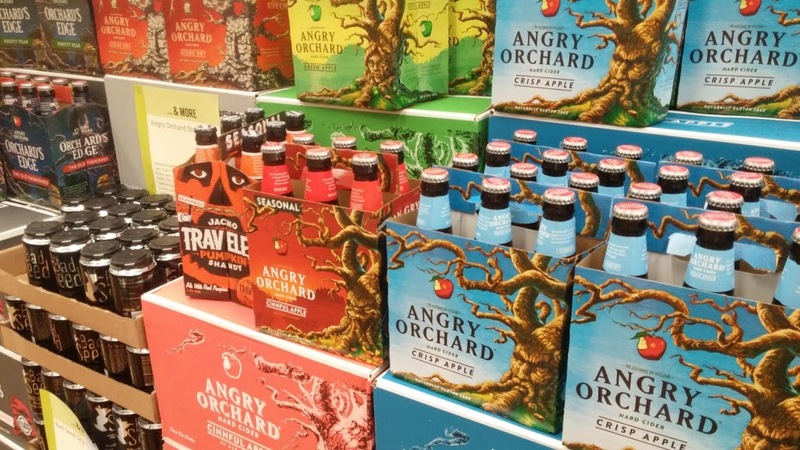 Angry Orchard Crisp Apple was one of two national brands we tasted. Owned by The Boston Brewing Co (Sam Adams) it was the first (and very successful) attempt to bring hard cider to the mainstream market. 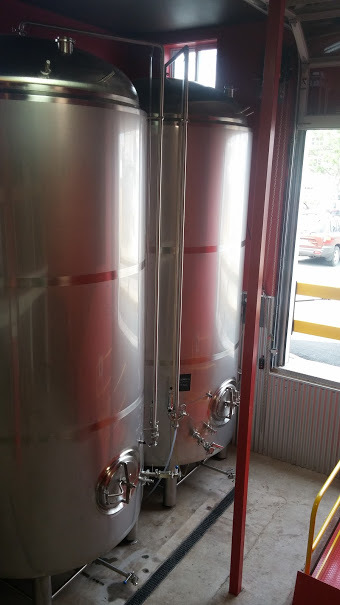 Now that the brand is established, they’ve set up a cidery in Hudson Valley apple country at Walden, NY. 5% alcohol, $8.99 for 6/12 oz. Ciderboys First Press Traditional Cider from Steven’s Point, WI is another rising national brand. 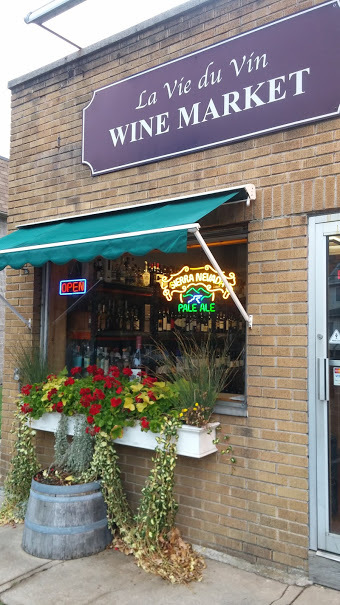 It was “Julia’s Pick” at Ancona’s wines in Wilton, $9.00 for 6/12 oz, 5% alcohol. It’s the only one to include Cider Base, Apple Juice Concentrate, and Natural Flavors on the ingredient list instead of just fresh pressed apple cider. 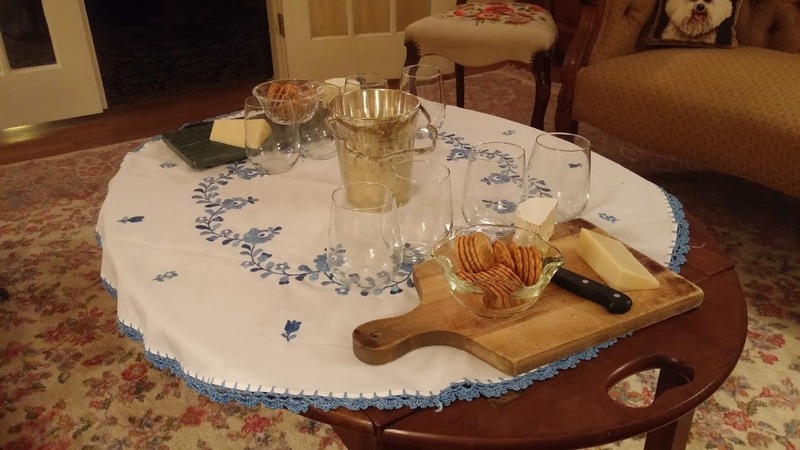 The tasters had a preference for the dry ciders with genuine apple flavor. 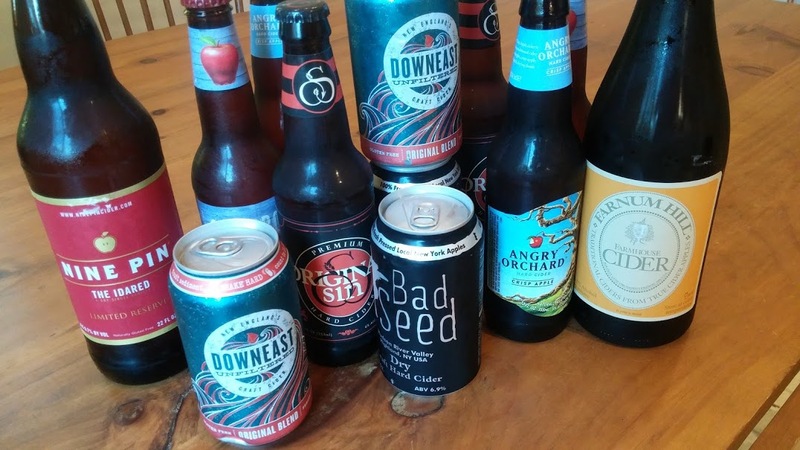 Bad Seed and Downeast had an equal number of supporters for top pick, even though the ciders were markedly different. The Bad Seed, with its high alcohol and bone dry warning, was the most wine-like. The use of a sauvignon blanc wine yeast undoubtedly contributed to this impression. 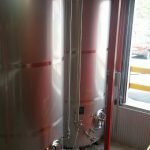 “The aroma suggests apples; refreshing clean fresh apple flavor; nice summer drink; and light carbonation,” were some of the comments. 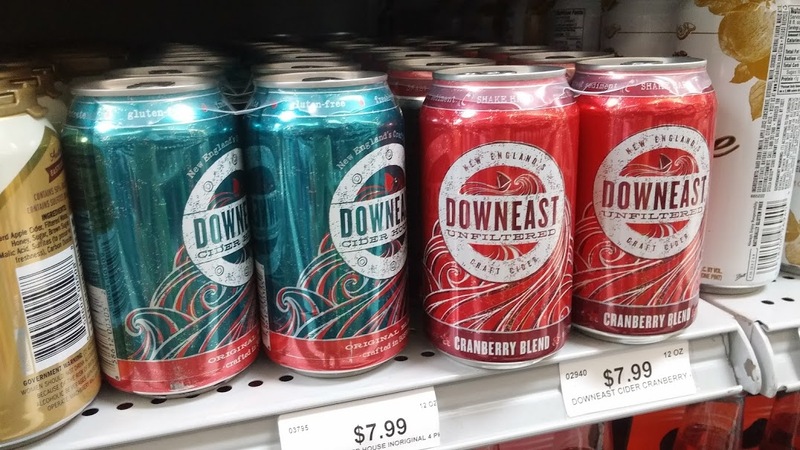 “Love it,” started the conversation about the Downeast Unfiltered Original. “I want this with Thanksgiving; big apple flavor, like a dessert; a delicate aroma,” the observations continued. The cider was quite cloudy, but the tasters felt the sediment contributed to the authentic apple flavor. 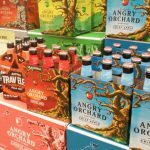 The two national brands, Angry Orchard and Ciderboys, were deemed too sweet without balancing tartness. They didn’t fare well against the nuance and complexity of the small production ciders – refreshing on a sunny afternoon, but not the best at the dinner table. I’ve had the Angry Orchard in other situations and enjoyed it. Ciderboys tasted more like apple juice than cider. 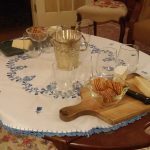 Many of the tasters didn’t have much experience with hard cider, but became fans. The range of flavors and style was impressive. Just like with wine, complexity and finesse, a balance of tart and sweet, and quality fruit carry the day. Leading up to Thanksgiving there’s always lots of discussion about the right wine for the diverse range of flavors on the traditional menu. Forget Zinfandel, Riesling, Chardonnay or Pinot Noir. I think cider is the answer. 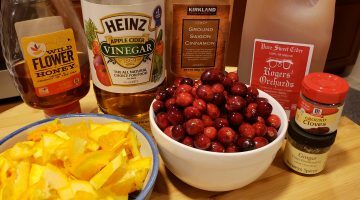 Naturally fruity, crisp and refreshing, with a clean just-picked apple flavor, and modest alcohol, it belongs on the Thanksgiving table. 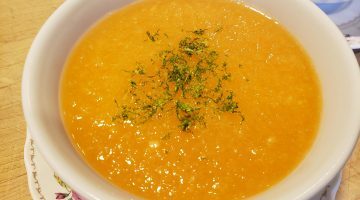 Previous Article From The Hour: Spice it Up!